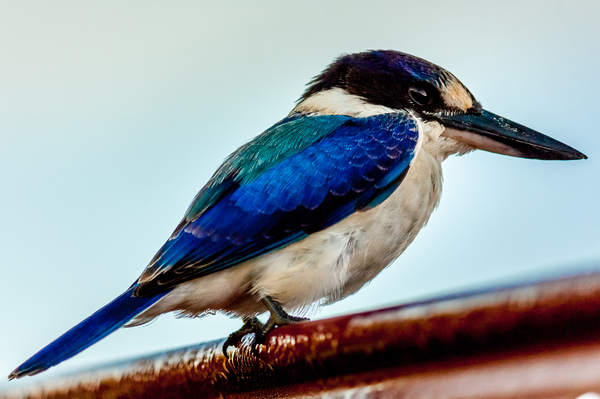 The Australian Forest Kingfisher has a dark royal blue head with pale turquoise on the back. Photo taken early morning near Murwillumbah Northern NSW Australia. Great photo! And a beautiful bird.